Logitech Setpoint drivers are a must for anyone with a mouse or keyboard brand to make the most of their devices. 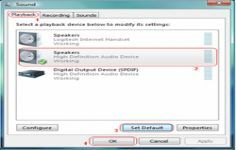 Logitech SetPoint is the unified driver for all mouse Logitech brand. It is simply essential for users of pointing devices or keyboards from Logitech. Accessible and comprehensive, it will significantly improve the user experience brand products. 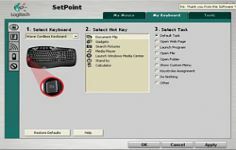 Indeed, in addition to providing all drivers for mice of the brand, SetPoint is a manager in which user can set his device to get better, scrolls, sensitivity and special buttons for example. With a very accessible and enjoyable to use interface, SetPoint is a real appreciation equipment brand that will improve user experience in its favorite programs: web browsers, word processing software etc.